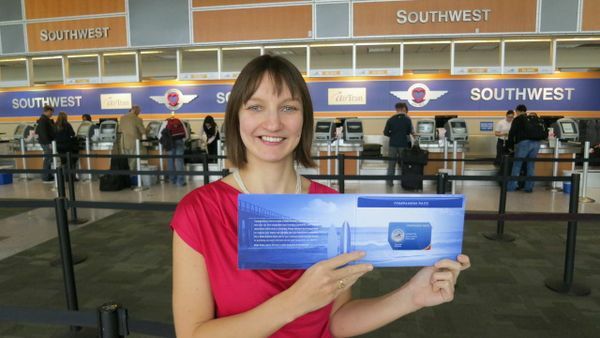 Southwest 50,000 Point Cards Still Active – You Can Still Have A Companion Travel With You up to December 2015! The 50,000 points offer on the Southwest credit cards was supposed to end on October 30, 2013, but thanks to readers for writing in that the links are still active! This is my favorite travel perk and is the number 1 offer on my Hot Deals list! Now’s the best time to apply for the Southwest credit cards, because just 2 cards and a few extra points will get you a Southwest Companion Pass which is valid up to December 31, 2015. This means that your companion can fly on Southwest tickets (both paid and award tickets) for only $2.50 per segment! You have to earn 110,000 Companion Pass points (within 1 calendar year from January 1 to December 31) to qualify for the Companion Pass. And currently the 50,000 point sign-up bonus is counting towards the Companion Pass. Here’s how you can get the extra 6,000 points for your Companion Pass once you complete the minimum spending on 2 Southwest cards. All 4 versions of the Southwest credit cards currently offer 50,000 Southwest points after spending $2,000 within 3 months. Note that the Plus versions (at the bottom of the page) have a lower annual fee ($69) compared to $99 for the Premier version of the card. You can redeem 50,000 Southwest points for $710 to ~$850 in Southwest flights or for ~$500 in gift cards. The Southwest Companion Pass is one of the best ways to save money on airline tickets for travel in the US. Why? Because your companion flies with you for free when you fly Southwest. You can book your flight with points or pay for with cash and your companion flies free (~$2.50 in taxes and fees)! It’s easy to redeem points for flights on Southwest because if a seat is available, you can book it with points! 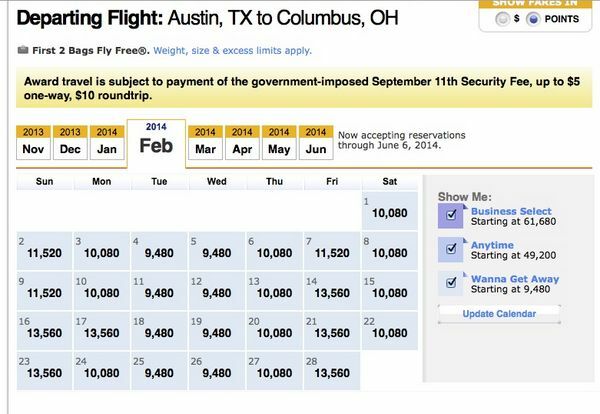 It is Very Easy to Book Multiple Award Seats on Southwest! You have to earn 110,000 Companion Pass qualifying points within 1 calendar year (January 1 to December 31st) to earn a Companion Pass. However, the 50,000 point bonus from the Southwest credit cards are currently counting towards the Companion Pass (though this could change at any time). The 50,000 points Southwest card offer is still active. I expect it to last until the middle of November based on the offer expiration date in the targeted emails which Southwest has sent to readers. Now is the best time to apply for the Southwest credit card so that you can get the Companion Pass for the longest possible time – i.e. close to 2 years of almost free flying! I called 2x already and I was not able to get them to credit me with the points. Please advise if there is a way around this and if you have seen this before. @T H – You can’t usually get the same card again within 2 years. Long time lurker, first time posting – I’ve had an interesting experience with Chase. I’ve been travel hacking for just about 2.5 years now and never go overboard. Generally 2 applications 2 or max 3 times a year. None of my cards carry a balance, and after a year I reevaluate whether I downgrade the card to no fee or roll the credit line into another card. Late october I applied for the SW personal and business cards at the same time. Both went to review. While the personal card was approved within the week. I got a letter saying I’d been declined for the business card due to ‘too many applications’ I called the number listed and clarified that one was a personal card and one was for business. Then I was absolutely grilled (or so it seemed to me!) on my business. Estimated net revenue, profit this year versus last year. What are my business expenses and why do I want a business card. Definitely 5 full minutes of questions not just one or two. I thought I handled it alright – I mean it’s a minor side business of editing – no huge profits or anything. But I was then declined because ‘my profits aren’t high enough to extend me further credit. Eek! I have had a chase ink card for about a year, so that must be the reason. But I was still surprised! I’m not a risk at all, my credit is great and I always pay on time. Chase must be cracking way down on business credit cards. I’m thinking of calling back and trying to get someone else to reconsider/ask to move some of my Ink credit to a SW account. If that fails I guess I’ll have to wait a couple of months/maybe cancel the ink and try again! Crazy! Any recs/advice would be helpful. @David – There are 4 different versions and and you may be able to get the bonus for each version. @Emma – Banks are tightening on credit card applications to businesses. Thanks for sharing your experience. We had recently canceled our SW Chase cards, and I assume we’ll lose out on this one due to normally needing to wait a period of time before reapplication would be eligible for a sign-up bonus. Does this sound correct, and if so, do you happen to know how long Chase requires for a “hold-off” period? Thanks again for a great find, Daraius! About spending and to get companion pass.. There are changes, which you are unaware about. 1. Already earned Southwest rewards points of 2013 wont count towards companion pass if you try to use those points in 2014. 2. If you get companion pass July 1st on-wards .. it will be valid for that year and the next year. 1) if I get companion pass in Jul2013 or Dec 2013, it will be valid for 2013 and 2014. 3. Annual fees or 99 or 69, does not count towards $2000 spending.